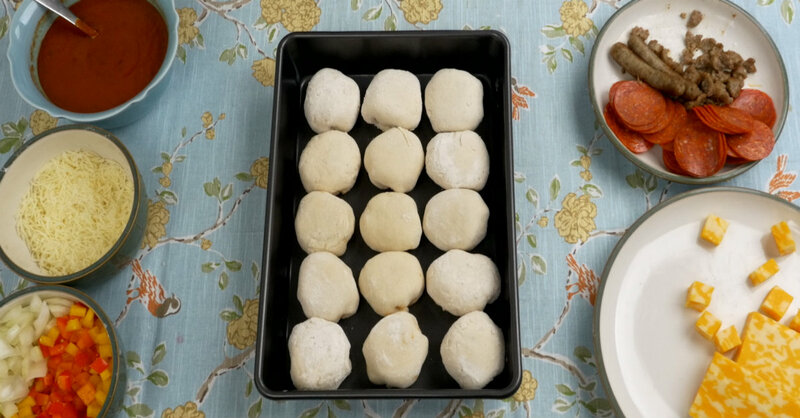 Pizza is always something we can get behind, but we didn’t know we could love it even more than we already did…little did we know these bite-sized rolls were a total game-changer! Perfect for entertaining, this rolls are fun and easy to make, and they seriously taste awesome! 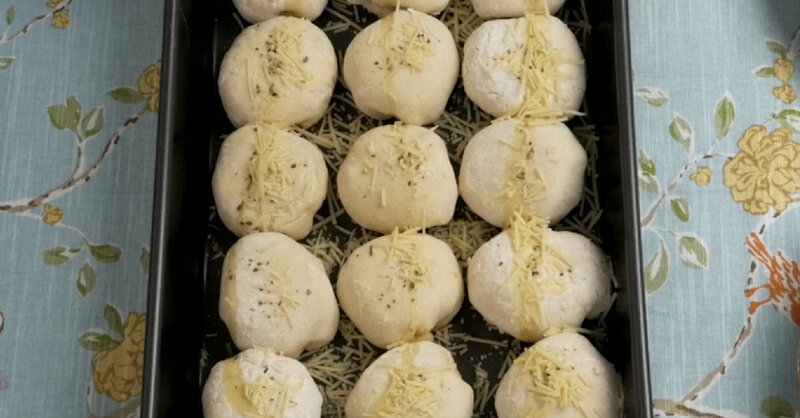 We stuffed ours with an assortment of cheeses, meats and veggies – it’s great that you can cater them exactly to your preferences – and then popped them in the oven. We were shocked by how cute and perfect they looked when they came out, and then we were really really shocked when we opened them up and saw how ooey-gooey cheesy they were. 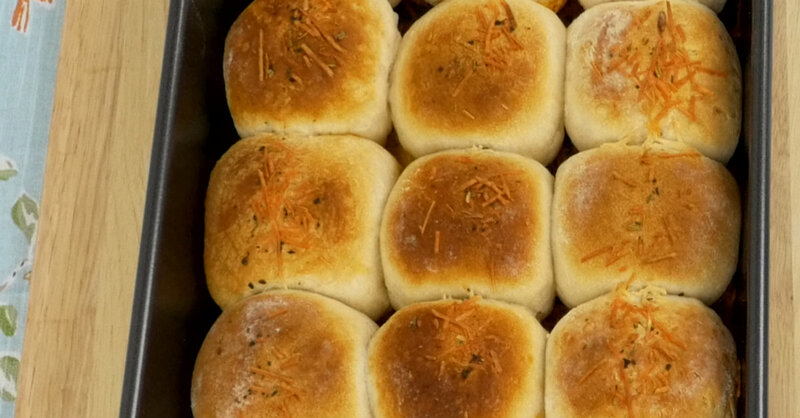 Kids and adults alike will love these rolls and we guarantee you’ll want to make them again! 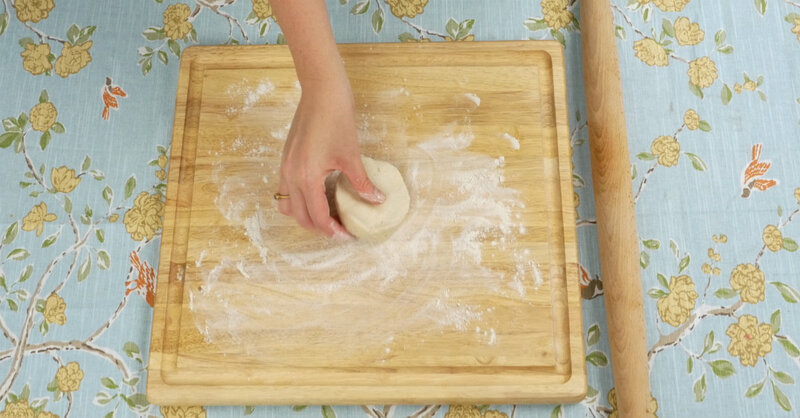 Open biscuit dough and, on a lightly floured surface, roll out each biscuit into a large disc. Set up an assembly line next to your work station with pizza sauce, cheeses, meats and vegetables. 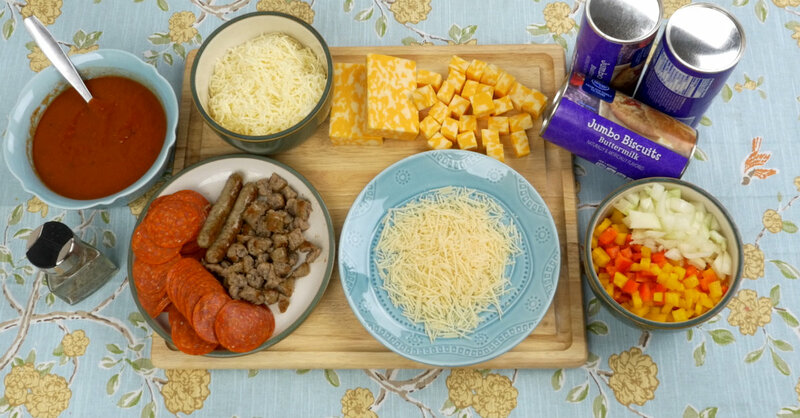 Spread 1 teaspoon pizza sauce in the center of your dough disc, then sprinkle with your choice of mozzarella, colby jack, pepperoni, sausage, or vegetables. Note: be careful not to overstuff, or your pizza rolls won’t seal properly. 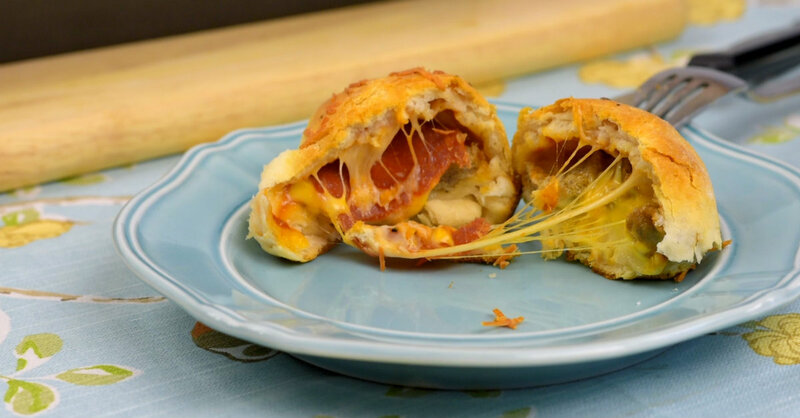 Fold the side farthest away from you up and over the cheese, then take the side closest to you and fold it up to pinch them together over the center of the roll. 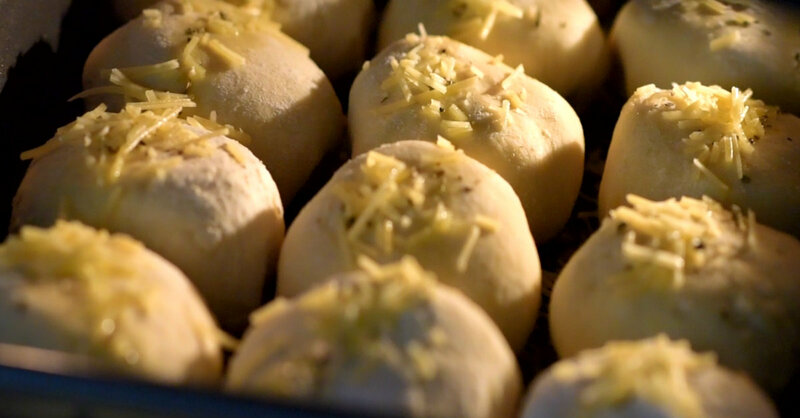 Repeat with the other two sides, then fold and pinch in any remaining open dough. Transfer seam side down to your greased baking dish. Repeat with remaining rolls, with any combination of ingredients you like, until all are completed and in the baking dish. Drizzle olive oil over the tops of the pizza rolls, then sprinkle with Italian seasoning and parmesan cheese. Place in oven and bake for 17-19 minutes, or until pizza rolls are golden brown.